Being one of the most sought after romantic places in the world, Verona is a fascinating and beautiful city to visit throughout the year. It is also the legendary home of Shakespeare’s Romeo and Juliet. You are bound to enjoy uncovering its background through its historical remains and ancient palaces. Further still, you can decide to prefer indulging in some shopping or fabulous cuisine. Verona will not disappoint. Getting to Verona Airport, it is possible to fly direct from Gatwick with British Airways if you are coming from the UK. Then the best option is to hire a car. It will enable you to take in all the beautiful sights Verona has to offer. From the magnificent Lake Garda to The Arena Roman amphitheater the ball is in your hands. 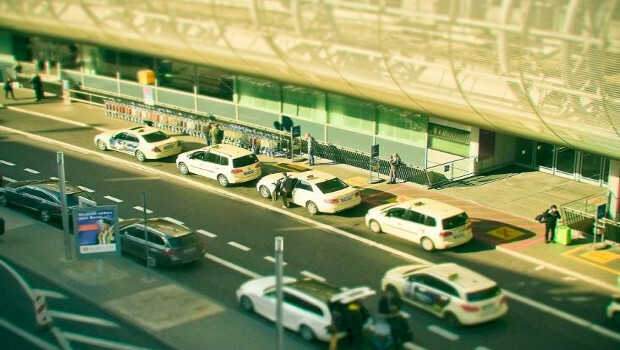 There are Airport car hire companies based in the arrivals hall. Remember that on arrival at the check-in desk you will have to present your passport, valid credit card, and driving license. A debit card is not acceptable. Even if you made a pre-payment, you would be asked to do this. It authorizes your request. Some companies have an age restriction, and only allow drivers aged 21 and above to hire a car. Even those of those with the correct age may be changed an extra Young Driver Surcharge to hire certain vehicle categories. Look for a car rental firm offering low-cost Verona airport transfers. Such a company must be with reliable and professional drivers, air-conditioned and comfortable vehicles. Further, any firm offering secure booking online is more convenient. There is a diverse range of vehicles you can choose from. You can hire anything from a Smartcar, minivan, a sports car, an off-road vehicle, a bigger truck for removals, or a scooter. Some firms even have Aston Martin Vantage to make you really enjoy the feel of the Italian landscape in style. It is possible if you book with one of the chauffeur driven hire cars. Planning to do most of the trip by foot or prefer a one day of the holiday for exploring the surrounding countryside and towns, some firms offer short-term rentals. You can rent a car for just for any amount of hours. This plan gives 24-hour roadside assistance and is often a much cheaper and convenient option. There are other plans like Rent-It-Here/Leave-It. Here you could rent a car to get you between destinations when planning a multi-trip excursion. Some rental firms sometimes work in partnership with the airlines. It helps provide better deals for customers. It is possible too, to join up to the variety of groups or privilege card schemes on offer. By signing up to this plan is a fast service. You have a guarantee of receiving your keys within 3 minutes of arrival at the check-in desk with your ticket. You are liable to receive £20 cash in case the firm does not fulfill. To get the best from a Verona airport car hire, look for one which gives extras. These may include child safety seats, satellite navigation systems or in-car DVD player. You have to make reservations in advance to avoid getting disappointed.